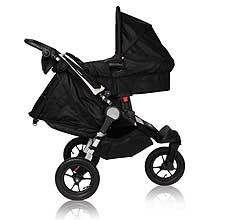 The Baby Jogger City Elite successfully combines urban practicality with luxurious comfort in an all terrain pushchair. The one handed fold makes folding whilst holding baby simple. 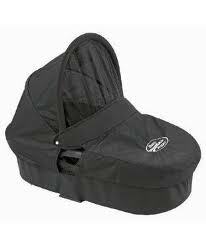 The beautifully padded seats are suitable from birth but when combined with a choice of 3 carrycots or car seat make a perfect travel system. 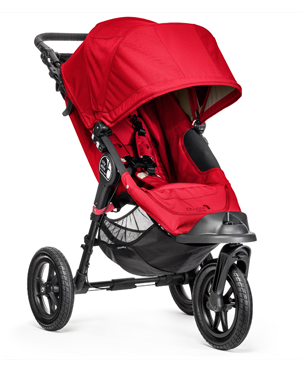 A superb stroller. Easy one handed fold into a neat package. 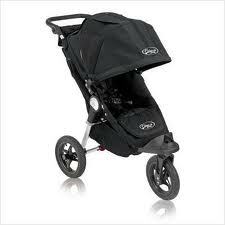 Chunky forever air tyres are quick release and are great off road. 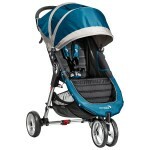 Huge canopy and thick padded seat offer excellent comfort for a baby or toddler. The seat is very large with good leg length. 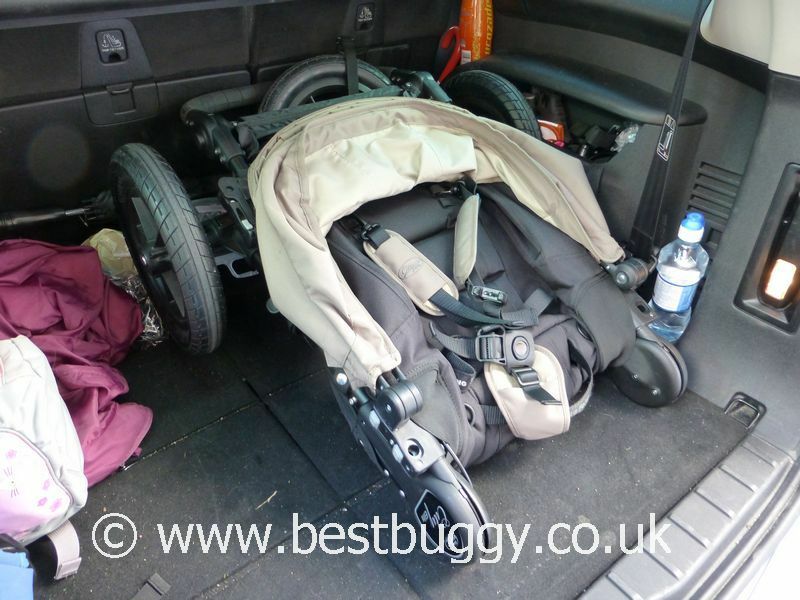 Car seat and carrycot compatible. One handed silent lie back recline. 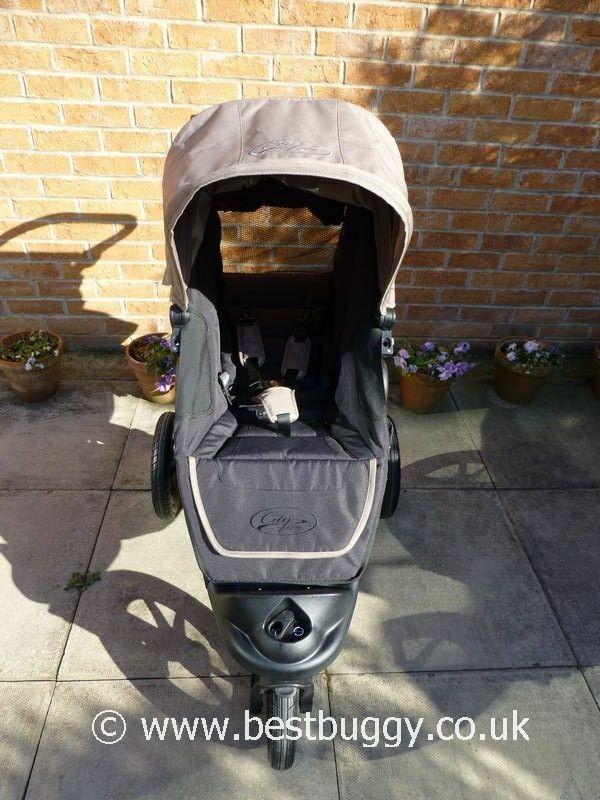 Large basket, behind seat storage net and fantastic parent console included. Hand operated parking brake. Adjustable leg rest. 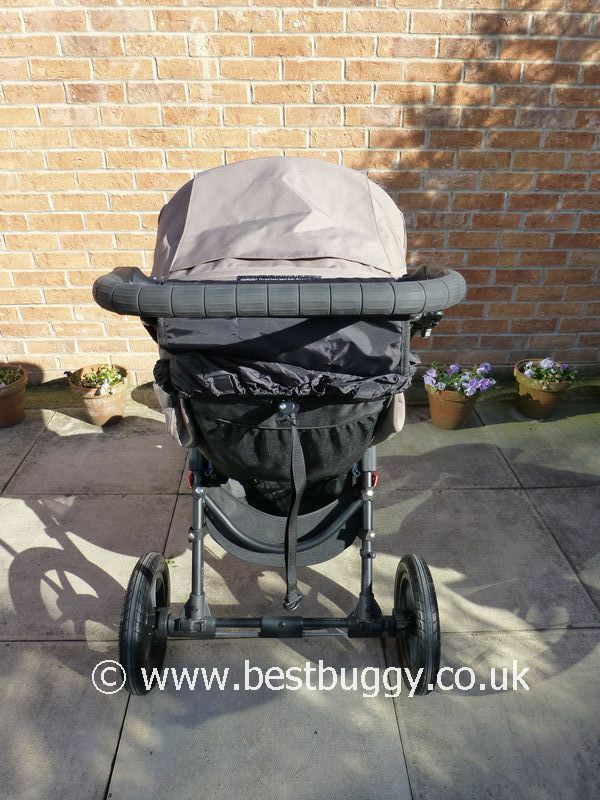 A choice of hard bodied carrycot, or a compact carrycot or a compact plus carrycot can all be added, with or without the seat fabric in situ. 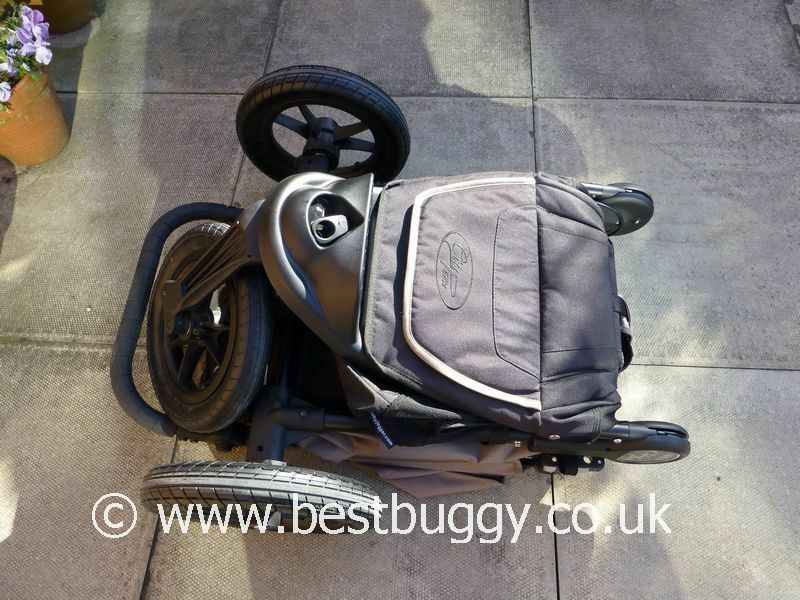 Footrest is chunky so adds to the folded size but with the wheels off the size is very similar to the City Mini. It can feel a bit back heavy.Wide. 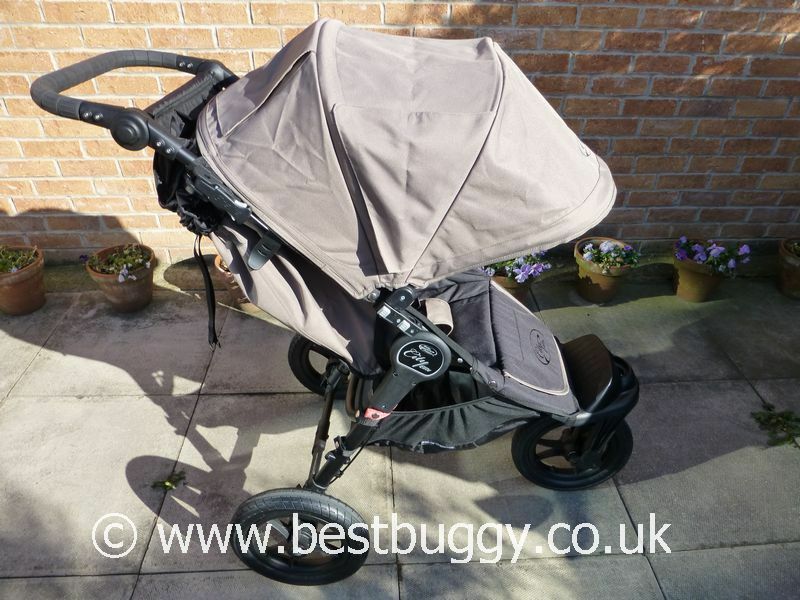 Raincover not included but otherwise an absolutely brilliant pushchair. 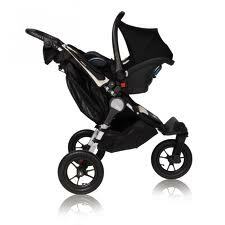 Maxi Cosi Pebble and Cabriofix; Baby Jogger City Go; Kiddy Evolution Pro and Evo-lunafix and Evo-luna i-Size; BeSafe IziGo; Recaro Profi Plus & Privia 0+ car seats. 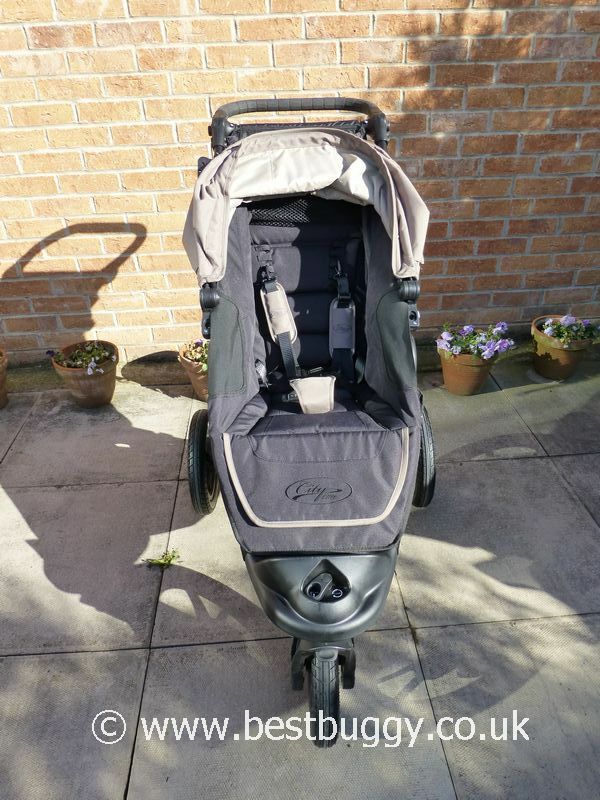 12 inch forever-air quick release tyres with sealed ball bearings. Switch lock on front kicker board switches the front wheel from swivel to fxed. Unknown but from near vertical down and up ie very low and very high. The one handed fold / open is amazing. The enormous hoods offer shelter from light rain or sun. 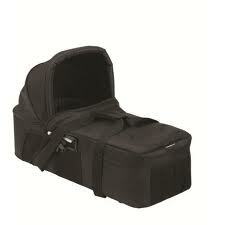 A storage console with pockets to hang on the handlebar is included.